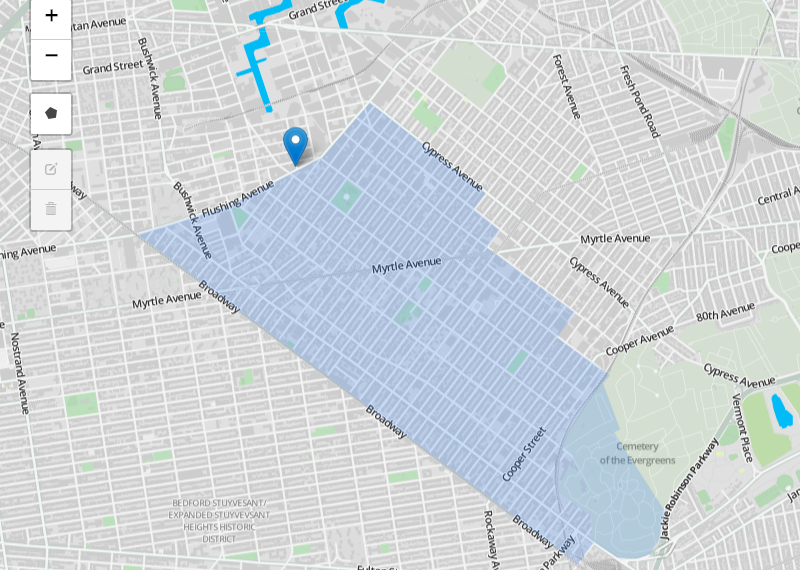 The Bushwick Food Co-op is considering a relocation, and we need your input. Although there are many factors that will inform the decision of whether the Co-op will move and to where it would relocate, we want to hear from Ownership to help guide these decisions. Please take a moment to submit an Owner Siting Survey to indicate where you would be willing to travel to shop at the Co-op. Contact Technology if you have any questions or issues using the map tool (see Committees section below for contact form button). Welcome! In our Owner Area you will find resources to help you navigate being a part of an owner-run Food Cooperative. Get started below! Want to double check if you can shop at owner prices at the store today? Curious what your hours balance is? Look up your status using the Status Lookup tool. There are three ways you can fulfill your monthly work requirement: working in the store, joining a committee and attending Monthly Co-op Meetings. Help out at the store and complete your monthly 3-hour work requirement. If you need to cancel a shift please call or email the store at store@bushwickfoodcoop.org at least 24 hours in advance. Traveling for a month or longer? Let us know and we will hold your work requirement. During your hold ownership pricing is also suspended. Participation in meetings is a key way to stay up to date on Co-op affairs and contribute to Board, Committee, and Staff decision making. Check our Calendar for upcoming meetings. Owners residing at the same residence as other owners are eligible to share banked work credit with those owners via the Household Work Credit Transfer form. Committees are vital to the operation of the Co-op. Don't forget to report your committee work using the link below. Scroll down for a full list of our committees and more information on how to join. Owners are required to contribute work on a monthly basis in order to access shopping benefits. Work requirements are variable, depending on Ownership Category (as detailed in the Ownership Manual), and Work Exemption Programs are available for special cases. Owners who are eligible to register for a Work Exemption Program (detailed in the Ownership Manual), may fill out the form in store with a manager. Owners registered for eligible Work Exemption Programs may register surrogate shoppers via the Surrogate Shopper Registration form, available to fill out in the store. Don't forget that eligible Owners can register surrogate shoppers and surrogate workers. Talk to a store manager for more information. Owners who wish to change their Ownership Category due to changes in eligibility and/or personal preference may do so by completing the Ownership Category Transition form. Owners are responsible for keeping the Co-op informed of any changes in contact information. Owners may do so by completing the Owner Contact Information Update form. Have to leave the Co-op? While we're sad to see you go, we ask that you fill out our resignation form to process your request. Questions can be directed to the Ownership Committee. Our Committees are a critical function of our Co-op. Just like any functioning business, people are needed to help maintain both the legal and functional structure of the Co-op, in order to provide our community with affordable access to ethical, organic, and local foods. Please consider helping the Co-op by joining a Committee today! The Board seeks dedicated owners to join the team, working closely to help guide the Co-op toward its mission of social and environmental sustainability. Board members are responsible for keeping the Co-op financially stable, and for making decisions in the best interests of the Co-op and its owners. The Communications Committee consists of Social Media, Newsletter, Blog & Branding. Our goal is to consistently create engagement & provide up-to-date information for our owners. Help is desperately needed, so please reach out! The Environmental Committee is working to reduce the ecological footprint of the Co-op and its owners; to educate owners and community members about environmental challenges--and solutions--in food production, transport, and consumption; and to advocate for a sustainable future. We're eager to learn from and get involved in the larger environmental community at the local and state levels. There's a lot to do on behalf of our communities and our planet, and your help will make many of these projects possible, so please get in touch! The Facilities Committee is in charge of the store's upkeep, interior design, procuring, fabrication & installation of display furniture & appliances. We are looking for leadership, helping hands, and anyone with experience building things. The Finance Committee is a vital part of the success of the Co-op, and is in charge of balancing the books, creating & maintaining solvency, and running inventory. Immediate positions are needed to help keep the Co-op on track for a successful 2018! The Governance Committee ensures the Board, Committees, and general Ownership act in accordance with the bylaws and the overall mission of the Bushwick Food Cooperative in order to maintain its vitality, efficiency and economic success. Governance facilitates democratic decision-making, manages meetings, supports committees and liaises between the Board and Co-op owners. The Governance Committee also works to maintain the Co-op's commitment to cooperative principles established by the International Cooperative Alliance. Please reach out to find out how you can help us! The Technology Committee is responsible for making sure our POS system is running smoothly, and the appropriate hardware is functioning so we can streamline our checkout efficiency. On the back end, IT oversees the important IT systems that allow the Committees to work efficiently. Calling all who love technology! The Ownership Committee oversees the “owner journey” from orientations and registering new owners, to tracking work hours and equity investments in the owner database and administering monthly status updates, to answering ongoing questions from owners and prospective owners about Ownership rights, benefits and requirements. The Committee also maintains the Ownership Manual. The Outreach Committee serves a dual purpose: to engage with the Bushwick community, raising awareness about the Co-op and its mission, and to foster community within the Co-op itself. We achieve these goals by collaborating with local organizations and businesses, attending various events and meetings in the neighborhood, and planning fun activities for our owners. If you love bringing people together, this is the committee for you! The Sourcing Committee is responsible for stocking our store with all of the healthy goodies you love to consume. We're always looking for foodies who want to help source delicious and ethical foods, and create great relationships with our Vendors. Reach out today! The bylaws are an important document that outlines how the Co-op is governed.